The dual pump system, dual flow RI detector, spacious column oven, total system temperature control, autosampler, sample prep station, safety features, and all-in-one design controlled by intuitive software combine to deliver exceptional performance. 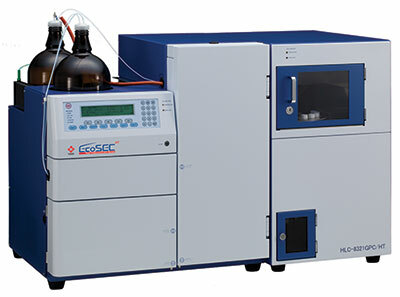 What is unique about the EcoSEC High Temperature GPC System? Does your analysis require additional detectors beyond RI? The EcoSEC High Temperature GPC System provides easy, effortless and temperature controlled connectivity when using multi-detector configurations. We offer external light scattering and viscometry detectors, as well as coupling options for FT-IR analysis. 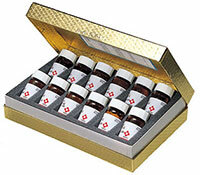 TSKgel polystyrene bulk calibration standards are used to calibrate GPC columns for subsequent analysis of unknown samples. The standards range from 400 to 2.1 × 107 Da. TSKgel H series GPC columns are recommended for the analysis of organic-soluble polymers and are packed with spherical particles composed of polystyrene cross-linked with divinylbenzene (PS-DVB). The TSKgel HT columns are for high temperature applications (≤ 140 °C) while the TSKgel HT2 columns are used in ultra-high temperature (up to 220 °C) applications. 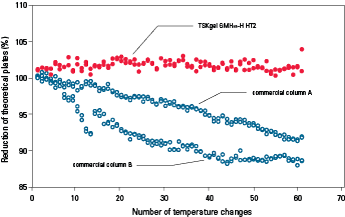 The figure below demonstrates the performance stability of the TSKgel GMHHR-H HT columns compared to other commercially available high temperature GPC columns during repetitive temperature changes. The TSKgel HHR HT columns and two commercially available high temperature GPC columns were subjected to drastic changes in temperature by raising the temperature for 2 hours followed by lowering the temperature for two hours for a total of 60 cycles. The number of theoretical plates was shown to remain constant for the TSKgel HHR HT columns and to decrease by 15% for the two commercially available high temperature GPC columns; thus revealing the superior performance stability of the TSKgel HHR HT columns.